1 oz package. 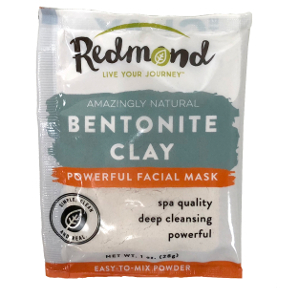 Redmond Clay is a unique bentonite clay from Utah loved for generations for its blend of calcium and sodium along with a complement of natural trace minerals. Deep cleansing facial. Draws as it dries. Easy to mix powder. Never tested on animals.